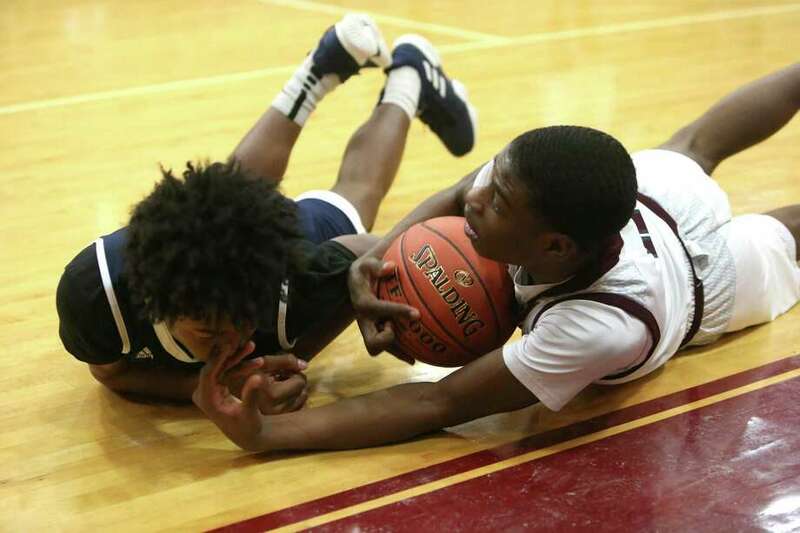 Hillhouse High Schools Evan Scott Alexander and Windsor High Schools Jordan Riley battle for the ball during the boys varsity basketball game in Windsor on Monday, Jan. 21, 2019. Jordan Riley led the way with 21 points for Windsor, which defeated Hillhouse 82-68 Monday night in a non-conference game at Windsor. Corey McKeithan and Amir Spears both added 20 points for the Warriors (9-2), the fifth-ranked team in the Register/GameTineCT poll. Spears had 11 assists and McKeithan five assists and four steals. Hillhouse has lost three straight and is now 6-6. Turcone Kelley finished with 19 points for Hillhouse.